It's the whole reason why you're getting married — the special moments that happen when you walk down the aisle to the "I Do's" is some of the most meaningful of your life. However with all the money, hype and stress that go into a modern wedding day, sometimes the importance of the wedding ceremony can be lost in the planning process. Well, we're here to put the wedding ceremony back into the spotlight with these gorgeous alternative wedding ceremony ideas. These ceremony ideas aren't just visually gorgeous, they're also the perfect way to bring meaning to a personal ceremony. Read on for more amazing alternative wedding ceremony ideas! If you are looking for something that feels a little more intimate and less formal than a traditional seated ceremony, opt for a standing wedding ceremony. These are great for a couple looking to keep the ceremony short, sweet and fun. Maybe a standing ceremony is a little too informal and you're looking for a ceremony with a little more flair? 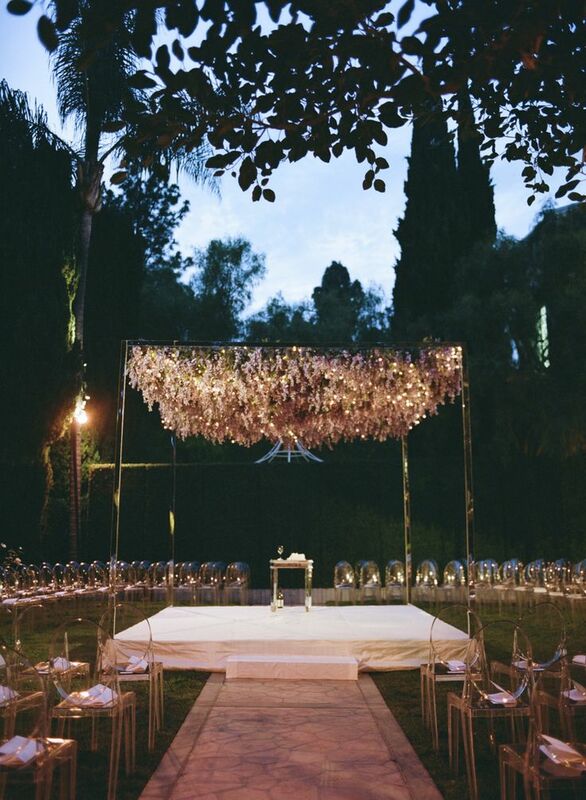 Then a wedding ceremony with a circular seating arrange is perfect! Dramatic, sentimental and visually stunning it's a great option for couples that want to add a wow-factor to the big day. 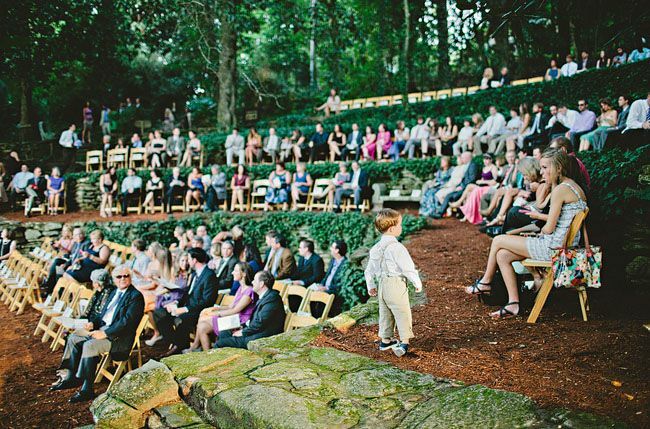 If your wedding ceremony venue allows for it, amphitheater seating could be a beautiful and memorable option for your guests to view this important moment in your life. Many times the wedding bar opens after the wedding ceremony... but why? 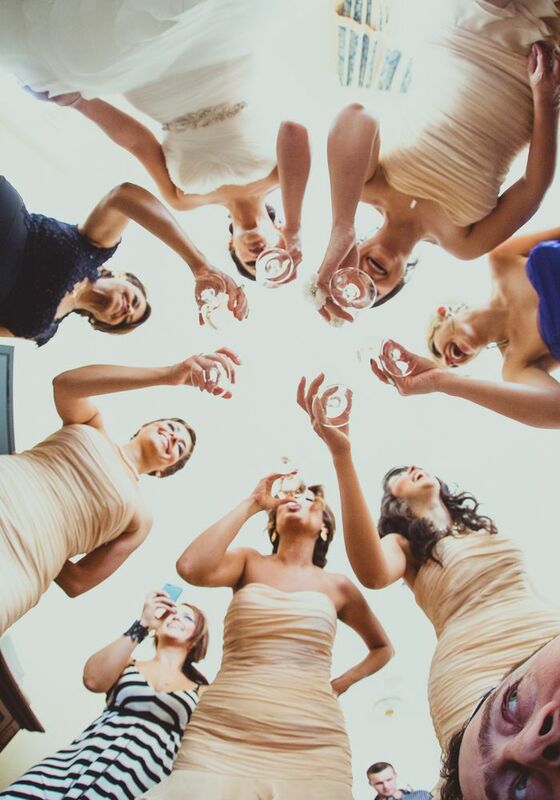 Chances are your guests will enjoy being able to sip on a bubbly beverage before and during your ceremony too! Getting married in a gorgeous park or outdoor wedding venue, but want to keep the vibe casual? Give your guests a picnic-style seating arrangement so they can stay comfortable during your ceremony while enjoying a fun new wedding experience. Well brides and grooms, which of these cool wedding ceremonies would you want for the big day?